Chenter is a cross-regional comprehensive enterprise. Our business ranges from mechanical and electrical engineering, video surveillance, electrical equipment and installation works to project management fields. 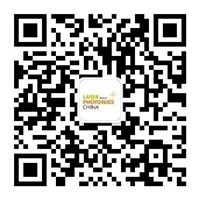 Chenter focuses on the supply of high quality optical components and glass products (spherical and aspherical lenses, windows, prisms, filters, etc), optical coatings (anti-reflective, high reflective, filter coating, dichroic coating, beam splitter coating, etc. ), opto-mechanical metal parts and assemblies to worldwide customers. They are widely used in various industries, such as vision technology, automation, sensors, optical inspection devices, laser cutting and other more fields. The confidence of Chenter team lies in our work dedication and field professionalism. Our marketing and sales department works under the leadership of field experts with appreciable experiences. Our engineers and technicians own many years' expertise in designing, manufacturing, coating, assembling and quality controlling. Chenter always insists on excellence throughout the operations, ensuring strict quality procedures and state-of-the-art processes, advanced coating and metrology equipment. Through the constant innovation, Chenter serves customers in an efficient manner, doing best to provide more satisfying quality and service for customers to realize and maintain mutually trusted and beneficial partnerships in the long run. Your satisfaction is and will be always our target.